​As many of your know we have been on a quest to cover the wooden fence that surrounds our property with roses. I am always on the look out for climbers that will repeat bloom. 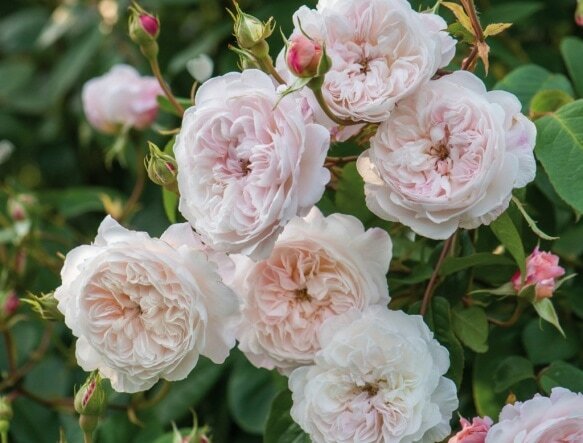 I was encouraged to read last year about the introduction of ‘The Albrighton Rambler’ from famed English rose hybridizer, David Austin. The soft pink color and fragrance appealed to me. Planted in late February of this year, this rose has gained quite a bit of growth in its first year and has produced quite a number of tiny fragrant blooms. 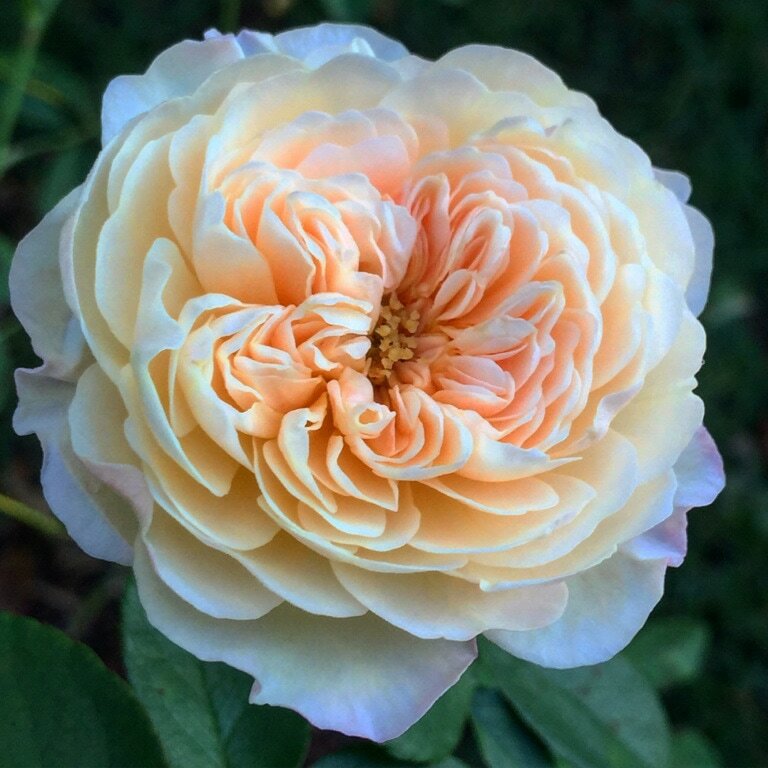 Notice the difference in coloration of my bloom and the one depicted in David Austin’s photo? That is attributed to the climactic conditions between the English countryside of Shropshire and my little back yard in the deep south of Alabama. Such a beautiful intricate bloom structure that has been the topic of conversation on many a garden walk this summer. I can’t wait to see this rose reach the top of the fence and beyond. For a first year rose, i’m mighty impressed and would recommend it as one of our “Roses on the Rise”.